S&W M&P40 178059 PRO 40 OPTRD 5 15R C.O.R.E. Description: S&W M&P40 178059 PRO 40 OPTRD 5 15R C.O.R.E. This picture is representative of the group of items listed below. It may not match the exact item that you are looking at. Please make sure to read the description of the individual item. 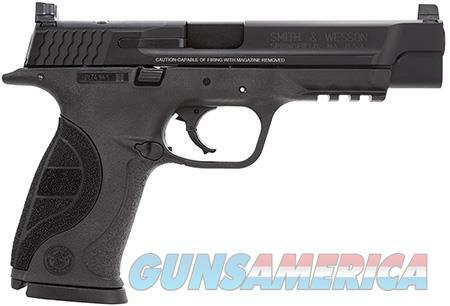 SMITH & WESSON INC 40 Pro Smith & Wesson 178059 M&P 40 Pro with C.O.R.E Double 40 Smith & Wesson (S&W) 5" 15+1 Black Interchangeable Backstrap Grip Black Stainless Steel Smith&Wesson M&P pistol is an experience you have to feel to believe. It is built on high-strength polymer frame reinforced with a rigid stainless steel chassis. The Performance Center M&P 40 Pro Series bridges the gap between main production and the Performance Center pistols. his model is optic ready, with S&W C.O.R.E (Competition Optics Ready Equipment), a specialized platform for adding accessory optics and is engineered to accept six popular styles of competition-based optics. It also features three interchangeable grip sizes, two magazines, Picatinny-style rail, and a no thumb safety.